"I remember my sister was fascinated by little pretty things when she was just a baby. 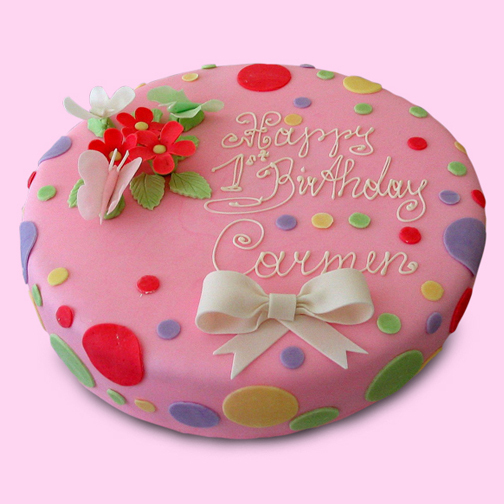 So for this cake I thought, ‘why not bright colorful dots with butterfly and floral accents?’ Voila! P.S. The dots remind me of bubbles."